Big Salmon swimming the Sac! Ron's 16 lb hen from yesterdays trip on the Sacramento River near Corning, Ca. 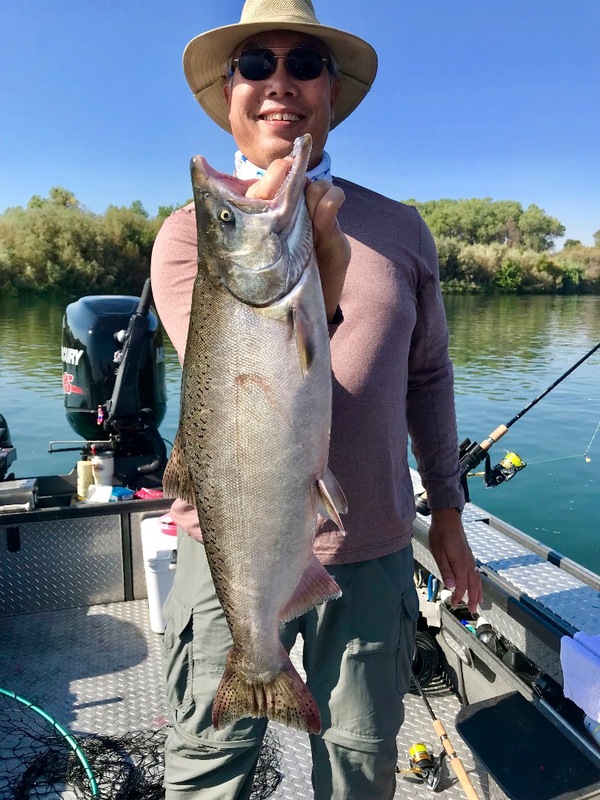 Its shaping up to be a great year on the Sacramento River this year and while we have a good number of jacks and two year olds showing, we are seeing good numbers of 3 yr Kings which average 18-22 pounds. 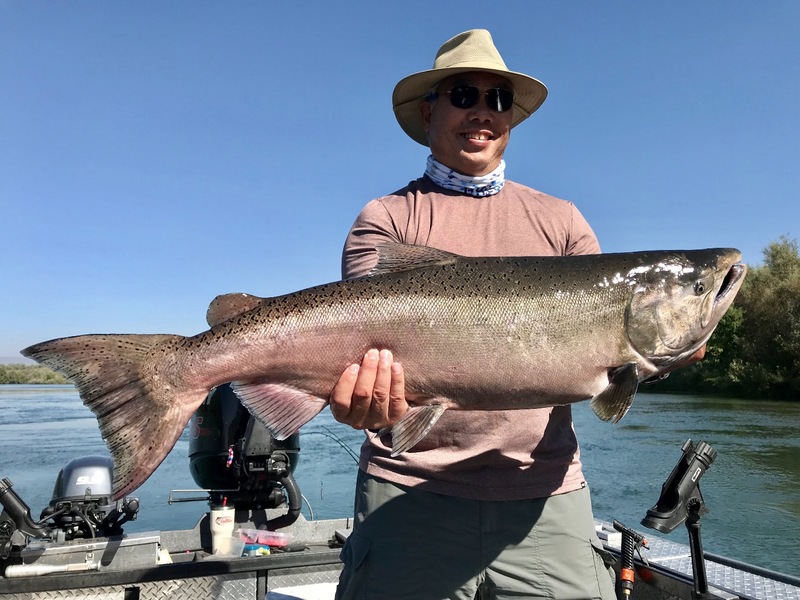 We have been seeing plenty of big fish action and from the looks of the saltwater action we're still seeing in SF Bay, the biggest Kings are still coming! 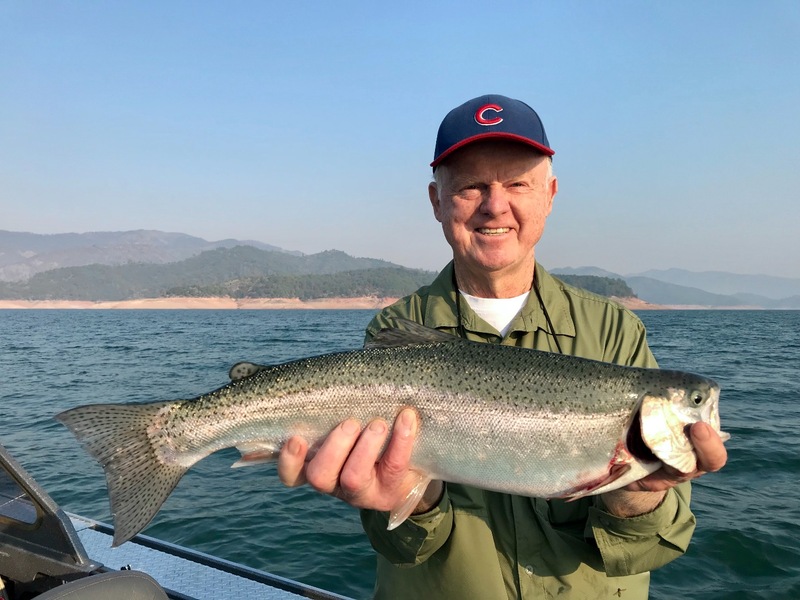 We're going to be fishing around Corning to stay out of the smoke as long as we can, but when the big deep holes above Red Bluff fill with big Kings, its going to be hard to stay away from the great fishing we're going tp see this year. I still have October dates available, so don't miss out on this years big run of big Sacramento River King salmon! Call us at (707) 818-1905, Thank you! 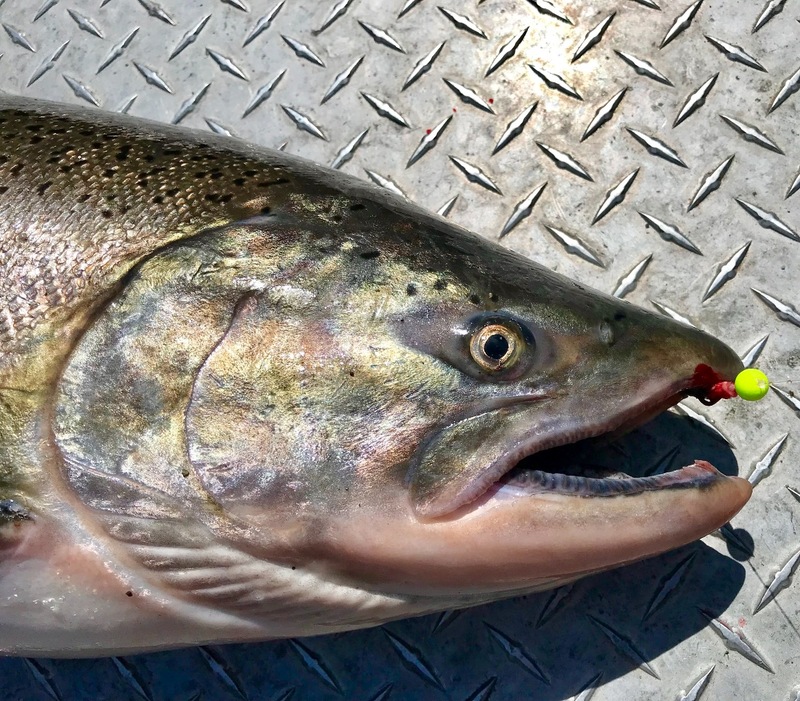 Fresh run Kings in the Sac are making for excellent table fare this season! Sacramento River King salmon love eggs cure in Pautzke Bait Co. Fire Cure! Our special blend of Pautzke egg curing products simply put, catch the big fish! 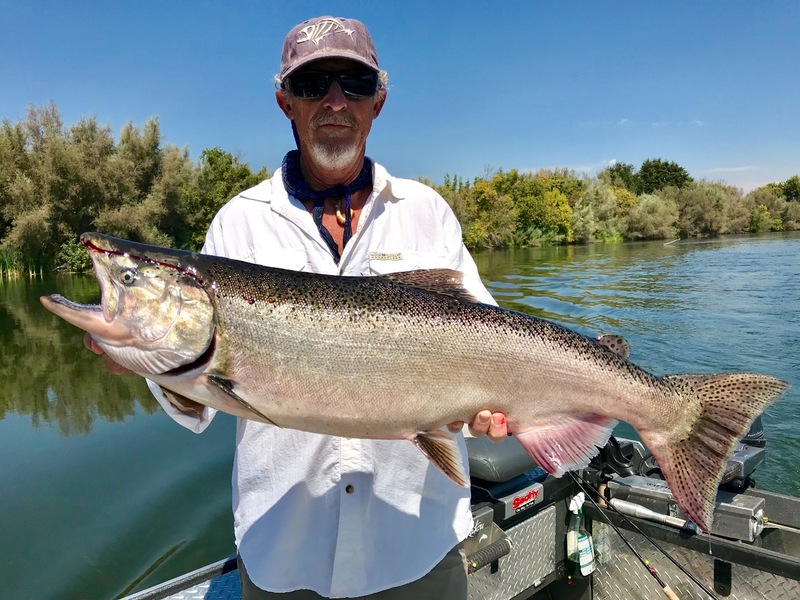 Big Kings filling the Sacramento River! Going deep for Shasta trout!